* Wednesday 19 December- Last day for students! Happy holidays! As we come to the end of what has been another fantastic school year, I would like to take this opportunity to thank our community for the continued commitment and support offered to our students and staff throughout 2018. We have many parents who offer their support in so many different ways including; assistance in the classroom, on excursions, on the sporting field, with special groups, as class parents, in the canteen, fundraising, on P&C committees to list a few. However you have supported our school, in whatever capacity, we thank you from the bottom of our hearts. 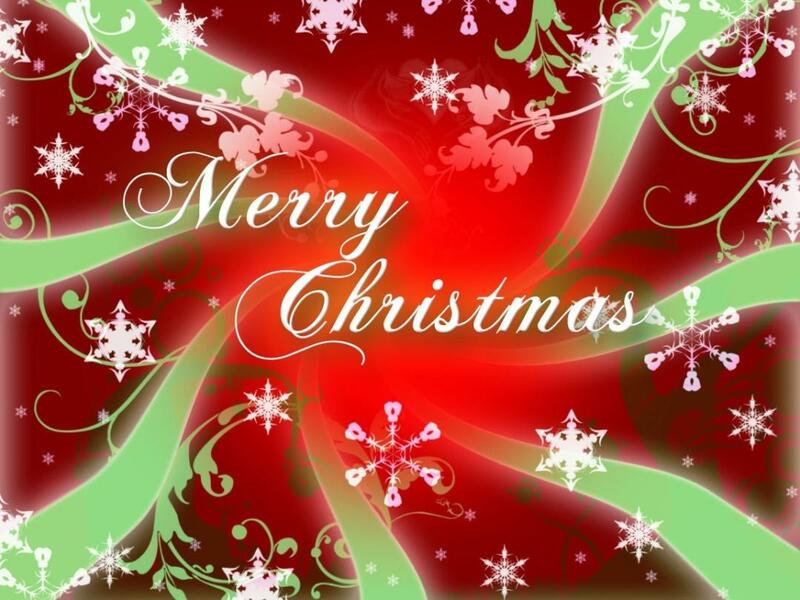 On behalf of all the staff at Beacon Hill, we wish all our families a wonderful Christmas, New Year and holiday break. Treasure this magical time with your nearest and dearest, make the most of the glorious summer weather and find some time to relax and recharge! I look forward to seeing everyone on Wednesday 30 January 2019. Thank you to our Year 6 for coordinating a fantastic mini fete day last week. Our students in years K-5 actively participated in full spirit throughout the day and our year 6 students should be commended on their wonderful preparation and execution of the day! Feedback from our students was that it was the best one ever! Congratulations on a highly successful day and thank you so much to our year 6 students and their teachers, Mrs O’Sullivan, Mrs Ross, Mr Matthewson and Mr Norman for all the hard work put in to organising the event. Many thanks also to year 6 for their thoughtful farewell gift to the school. We thank you for your contribution to our sustainability initiatives. We will forever be reminded of what a special group of kids you are! Thank you! Thank you to our wonderful band committee- especially Kaz Cerneaz, Miss Widmer and Matt Hurditch who coordinated a delightful community carols and picnic last Thursday afternoon. It was a beautiful evening with sensational entertainment provided by our bands and choirs and led superbly by our gorgeous master of ceremonies Mrs O’Sullivan. Thank you to everyone who attended and supported such a lovely community event at such a busy, but magical time of year with special mention to the many volunteers who assisted throughout the evening. Thank you to our wonderful Santa for his special guest appearance as well. We shared a beautiful picnic day at Clontarf (Years K-5) and Putt Putt and Movies (Year 6) yesterday which was such a lovely way to celebrate the end of a fabulous year! Thank you to Mrs O'Sullivan and Mr McGee for organising such fun picnics for us to enjoy! Farewell to our leaving Year 6 and families! We wish all those leaving Beacon Hill, including our Year 6 students, all the very best for the future. 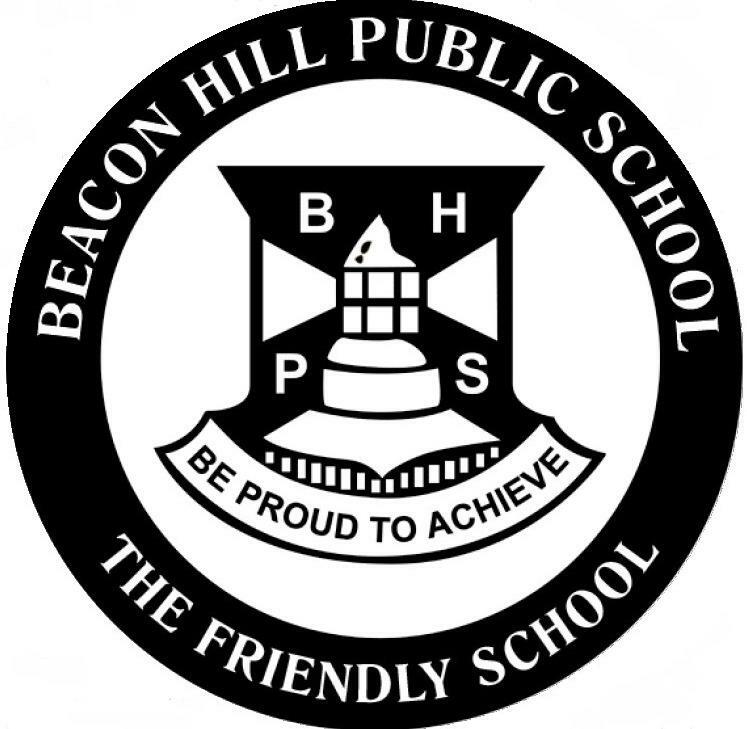 We know that wherever your path may take you, you will always have fond memories of your time at Beacon Hill Public School. I would like to extend my sincere thanks to Mrs O’Sullivan, Mrs Ross, Mr Norman and Mr Matthewson and the fabulous parents who assisted with organising our very special Year 6 farewell on Monday evening. It was a lovely, memorable evening for the children and an event I am sure they will forever remember. The gorgeous PowerPoint presentation prepared by Cat Giannitto was a wonderful acknowledgement of each student’s growth and a lovely memento of a special journey, the dinner at Manly Leagues was delicious, the cupcakes generously prepared by Sally Bate were scrumptious. The venue was beautifully decorated and the disco, coordinated by our resident ex-student DJs Sean and Tom, was so much fun! Back to School- what will happen on the first day of school in 2019? the new school year, students will remain in their 2018 classes in what we call a “Holding Pattern”. In most cases they will continue with their current classes while enrolment numbers are finalised. This can sometimes take a couple of days, especially when numbers fluctuate. If your child is going to be leaving the school and you have not notified the office or if your child/ren is/ are going to be absent on the first day back, can you please let the school know in January in writing or by email beaconhill-p.school@det.nsw.edu.au. This will ensure we can firm up enrolment numbers quickly at the beginning of the school year. On the first day back for children, which is Wednesday 30 January 2019, the children from Years 1 to Year 6 (that is, this year’s K- 5) will line up in the same place as they did throughout this year for morning lines with their 2018 class group. Their 2018 teachers (where possible) will collect classes and take them to the MPC for a welcome back assembly. If it is raining on the morning of 30 January, students should proceed straight to their 2018 classrooms and we will then proceed to the MPC. From the second day, Thursday 31 January, the 2019 Year 1 and 2 children will line up on the asphalt area behind the library and the Year 3 to 6 children will line up under the primary COLA. Once 2019 classes are formed, lining up arrangements for the new year will be organised and communicated to the students. Our 2019 kindergarten students will commence on Friday 1 February 2019. Detailed information regarding kindergarten’s starting procedures has been emailed and posted home to families. The holiday break is a great time to check children’s school uniforms to ensure our children return next year in full school uniform, including black closed shoes and correct school hat. Many children will be replacing shoes over the holiday break, so please make sure black shoes are at the top of the shopping list. Let’s return next year with a great start and excellent attitude towards wearing full school uniform. 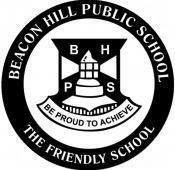 We want every child to show they are proud to be part of Beacon Hill Public School! In addition to the general thorough classroom holiday clean and hygienic toilet cleans, over the summer break significant tree works will be completed in line with the DoE’s tree management guidelines. Most of this work will involve deadwooding of trees. Additionally, painting of N block will be completed, the demountables behind the MPC will be released, our AV room refurbishment will continue and the highly anticipated refurbishment of the K-2 toilet block will commence! This is an exciting time for all of us! The refurbishment is expected to take most of first term 2019 so we will need to make some accommodations early next year which we will communicate when school resumes. We have also been successful as part of the DoE's first round of the Cooler Classrooms Project to air condition our classrooms commencing in 2019. I expect this will be a lengthy process and is likely to include significant electrical works as well as potential installation of solar panels. This too is very exciting for all of us! Finally, we really love our school! Over the holiday break, school security increases their patrols of our school to ensure our school premises are protected. However, if you do have any concerns about the security of our school throughout the holiday period, please call 1300 880 021. We are so grateful to our neighbours and members of our community who keep a vigilant eye on our school as well over holiday periods. Thank you to our community for your support of the Coles Sports in Schools program this year. 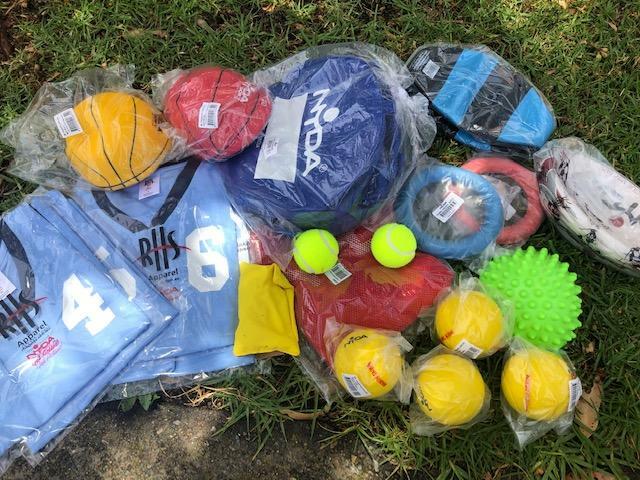 The sport resources (see some in picture) arrived late in term 3 and have been delivered to The Happy School in Cambodia with a group of students and teachers from Stella Maris College. We look forward to seeing some photos of the students receiving their goodies in the new year! Students (1- 6) return to school on Wednesday 30 January 2019. Staff recommence the day prior to the students, on Tuesday 29 January 2019 . Kindergarten students commence on Friday 1 February 2019. Monday 15 April 2019 – Friday 26 April 2019. All students (K- 6) return to school on Tuesday 30 April 2019. Please note teachers will be attending professional learning sessions on Monday 29 April. Monday 8 July to Friday 19 July 2019. All students (K- 6) return to school on Tuesday 23 July which will also be BHPS Athletics Carnival. Please note teachers will be attending professional learning sessions on Monday 22 July. Monday 30 September to Friday 11 October 2019. All staff and students (K- 6) return to school on Monday 14 October. 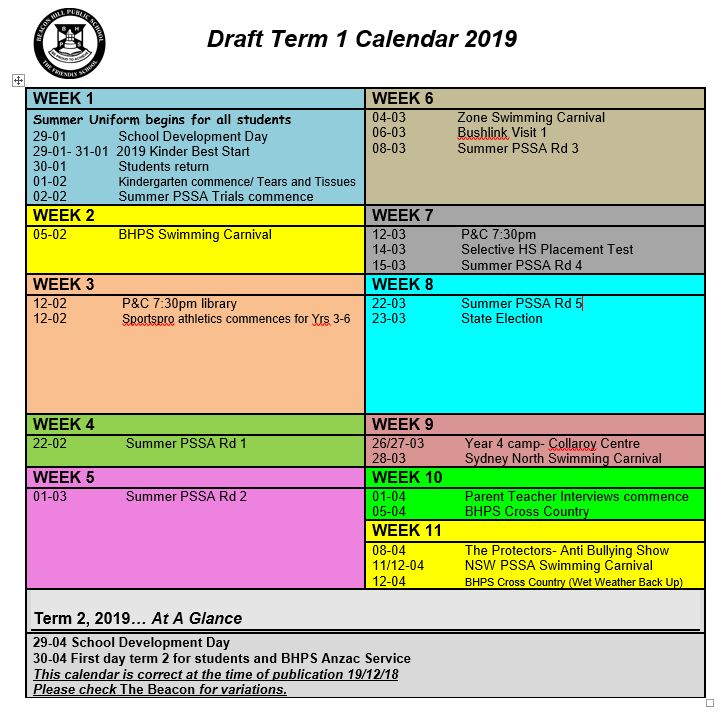 There is no scheduled School Development Day for the first day of Term 4. Thursday 19 December and Friday 20 December are school development days, so children’s last day of attendance for 2019 will be Wednesday 18 December 2019. Please note teachers do not attend training sessions at the beginning of fourth term, as there are two school development days at the end of the term. Beacon Hill Oosh Vacation Care.